The tower tech had to remain in the bucket for approximately two hours as workers de-energized the lines near the monopole adjacent to a Pacific Gas and Electric substation. 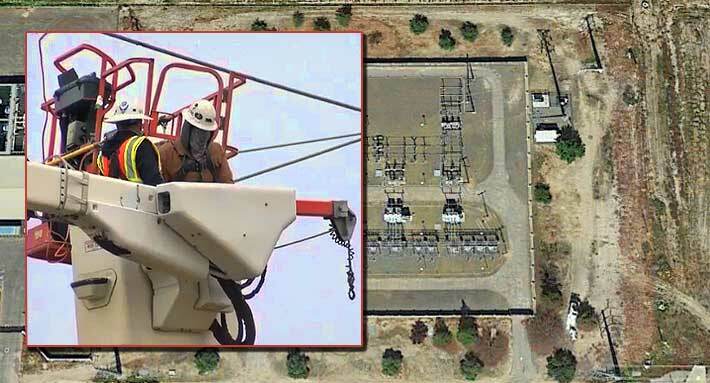 A tower tech is lucky to be alive after his bucket lift equipment came in contact with a 115,000 volt transmission line in Fresno, Calif. on Thursday at about 9:15 a.m. when he was servicing a carrier’s equipment on a monopole. The man was rescued by Pacific Gas and Electric employees who had to wait two hours until the power lines were de-energized. The tower, not registered in the FCC’s database, is adjacent to a PG&E substation. After coming in contact with the power line, the lift suffered a hydraulic failure and PG&E workers said the tires appeared to have burn marks on them. PG&E used their bucket truck to rescue the technician. Officials said that the name of the man and his employer’s name weren’t immediately available. Although the temperature was slightly chilly, the tech kept his face covered for more than two hours during the rescue. He was transported to an area hospital for evaluation. On May 16, 2016, a 37-year-old tower tech was electrocuted on a jobsite in Wadesboro, N.C.
On April 1, 2015, two tower technicians were almost electrocuted when they were working on a cell tower in Beloit, Wisc. when their aerial lift came in contact with a 75,000 volt line to the rear of a monopole.